It's been really hard for me to find cute clothes for Adrian, Everything either is sports themed or has an animal printed on it. I am kind of weird as in I like plain clothes on kids. I think kids are cute as they are they don't need a bunch of stuff junking up their clothes. I had this massive fear of snaps for some reason and after learning how to do them I don't know why, they are one of the easiest closures to do! 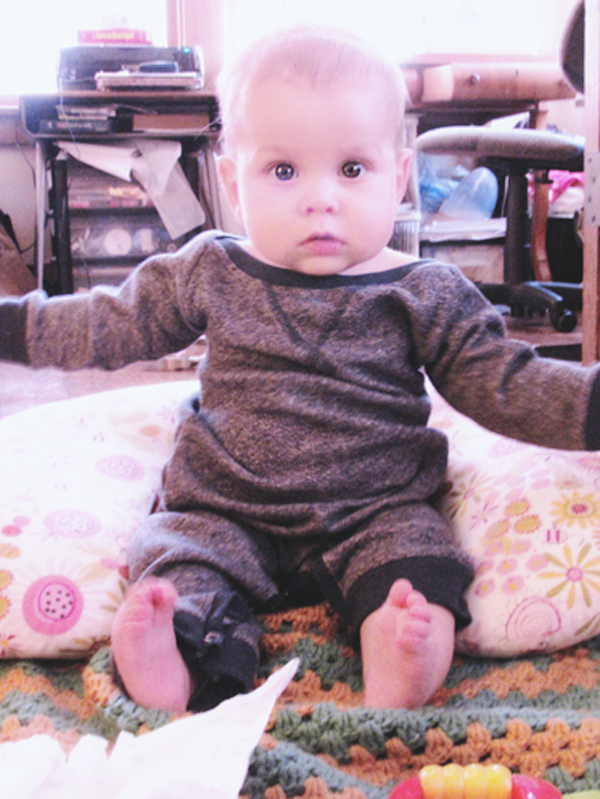 I made this sleeper outfit for Adrian out of an Old Navy sweatshirt I got on clearance. It has a nice warm texture to it and he seems content in it. I definitely need to make more of these. Wanna make it, This lady offers a tutorial on making rompers from t-shirts. I just lengthened the legs & arms to make it more appropriate for winter.